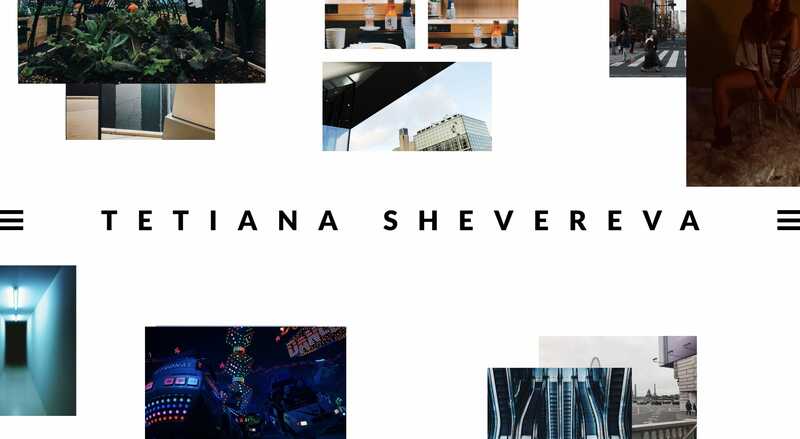 Unique and minimal One Page portfolio for Tetiana Shevereva where random pieces of her photography trail your cursor. Awesome bio too! I’m Tania – an Art Director who finds pleasure in working above all else. Actually, I lied. Ice cream and chocolate gives me much more pleasure. But hey, I’m only human. In my free time you can find me taking pictures on the streets, singing in karaoke bars, or buying so much black clothing that I can dress a whole techno club in Berlin. If you’re into sweets and wearing black let’s meet and make cool work together.